Hydrocarbons are still the world’s main energy resource; hence the oil and gas industry is core to our business activities. Atlas Professionals are a key supplier of consultancy services to Major E&P Operators worldwide, providing management and field supervision services to oversee and QC all operations related to the exploration and production of oil and gas resources. Traditional mature oil fields are situated onshore or within relatively shallow water continental shelf regions of the world. 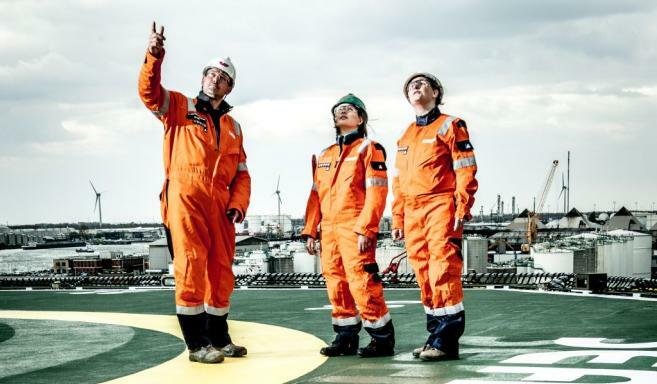 With the increasing demand for additional resources, exploration and production operations are being driven into more remote areas, deeper seas and further offshore increasing the need for specialist knowledge and experience. This industry involves some of the most highly technical and cutting edge technology for finding, extracting and transporting oil and gas products resulting in a multitude of complex operations. Our aim is to assist our clients with these operations by providing some of the leading specialists in the industry. Renewable energy is a rapidly growing market where Atlas Professionals have an extensive track record in providing consultancy services. We have expertise in the planning, design and construction phases of offshore wind farm turbines, substations and associated array cables. Most renewable energy projects are conducted in relatively shallow water and usually close to land which can present challenges to conventional survey and installation operations, our consultants have substantial experience working in these environments and can help to minimise costly logistical and operational delays. Atlas Professionals hold master service agreements with major offshore wind farm owners and operators as well as national electricity transmission system operators throughout Europe; providing every aspect of management and QC services from planning and environmental studies to site investigations, UXO detection and clearance, turbine and cable installation as well as inspection and maintenance. Submarine cables have become a key element of people’s lives in the past 20 years, without fibre optic cables there would be no fast internet and we would still rely on low bandwidth capacity satellite links for international telecommunications. Fibre optic cables span the world and are laid on the seabed from the beach down to full ocean depth, presenting a varied and challenging marine environment for surveying, installing and maintaining a system. Atlas Professionals have been involved in most of the major submarine cable systems, some of which exceed 22,000km long spanning half the globe and branching into multiple countries and continents. With the ever increasing demand for energy and the rise in electricity generation, transmitting high voltage power at peak loads through power cable interconnectors has become an essential means of importing and exporting energy. Cables are particularly vulnerable to damage, in shallow water areas some of the many threats involve fishing by trawlers and ships anchoring, in the very deep water fibre optic cables can be at risk of submarine landslides and even shark bites! For this reason we believe good cable routing and cable protection is essential. Our consultants are experts in the planning of submarine cable routes, survey and route engineering, burial assessment and installation; we can provide experienced consultants for all phases of the project.